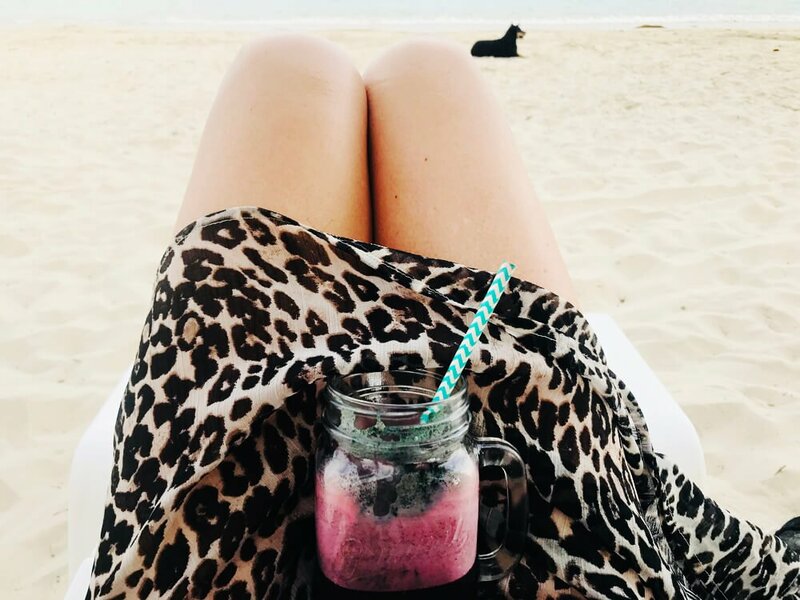 Travel to a gorgeous detox retreat and invest in yourself and your well-being! 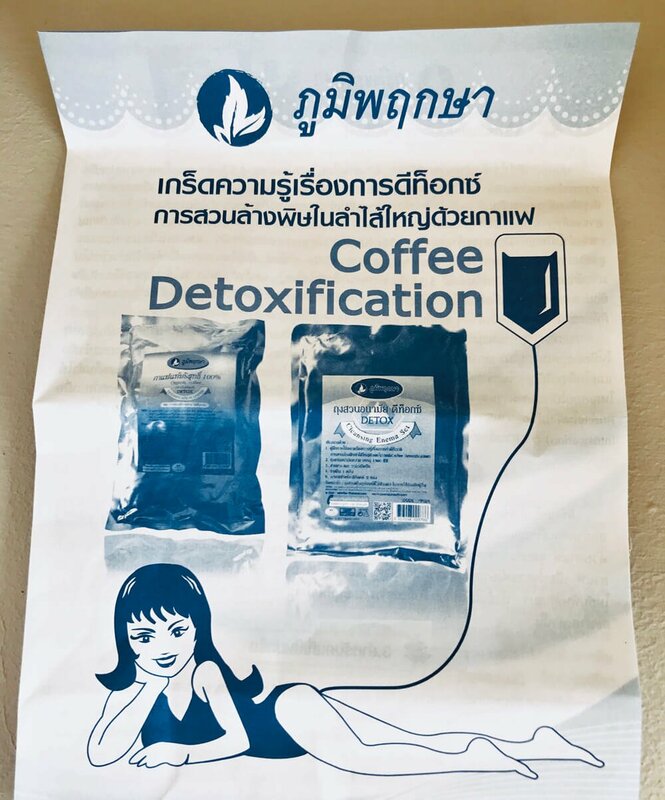 When the daily grind becomes a bit too stressful, when there’s just not enough time to take care of body and mind, perhaps it’s time to fly away to beautiful Koh Samui in southern Thailand and check in at the island’s popular Samahita Retreat – where they offer all Airline Staff a really good discount. 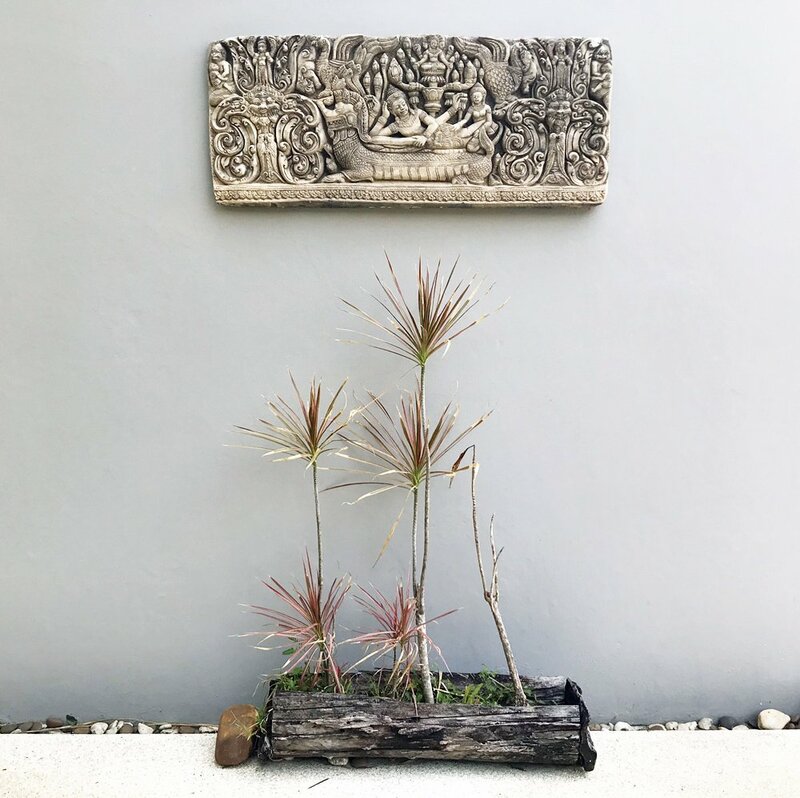 I recently spent a week at Samahita Retreat and enjoyed every minute of my stay and completely agree with their motto: “Reclaim your personal strength and inner peace to… breathe into a new life”. 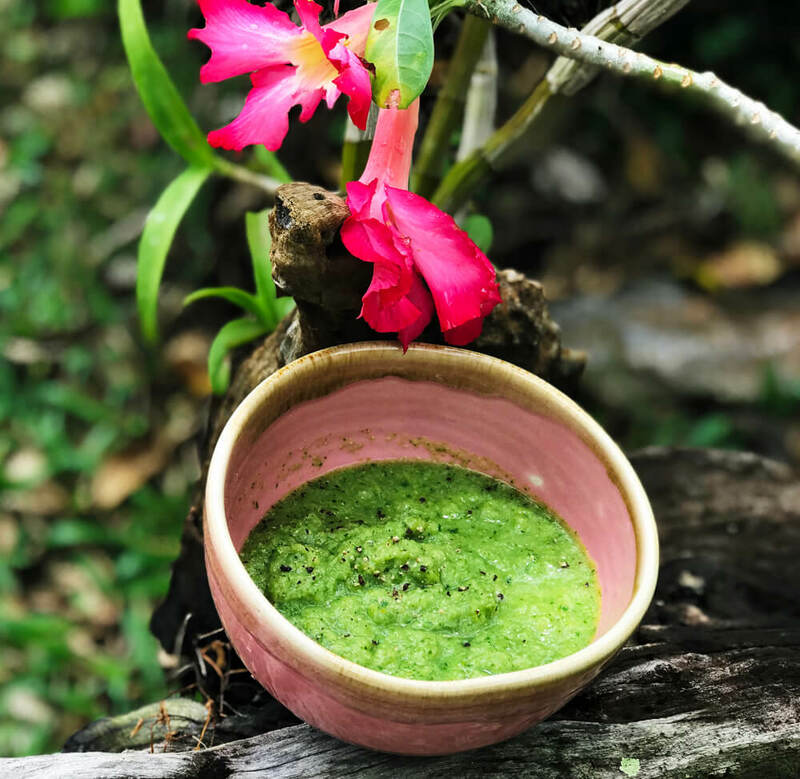 Having been around since 2003, I felt confident that Samahita had all the knowledge and experience I needed to help guide me towards a healthier path. The name “Samahita” is defined by the retreat as entered, being in balance. 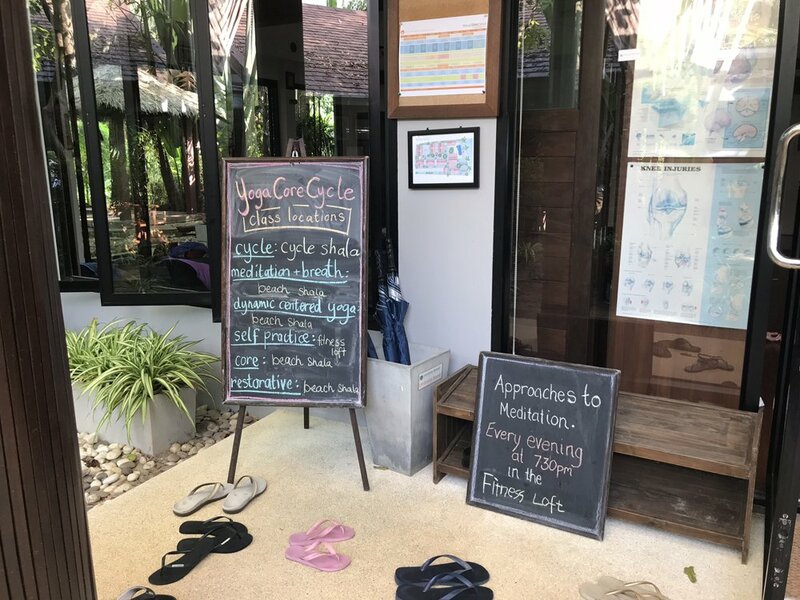 What intrigued me the most and was key to my choosing Samahita, was how they had developed a unique concept called YogaCoreCycle which I felt offered me a perfect combination of different kinds of physical and mental training – including meditation. You can take all 5 available exercise classes every day or create your own mix and schedule. The yoga sala is next to the beach, so you have this beautiful view while attending a class there. 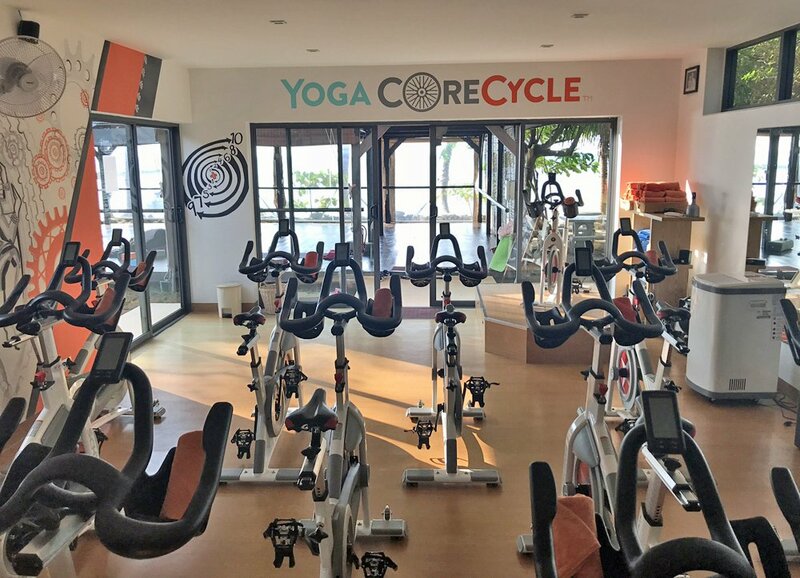 The spinning room is nearby and also offers a stunning view of the beach. 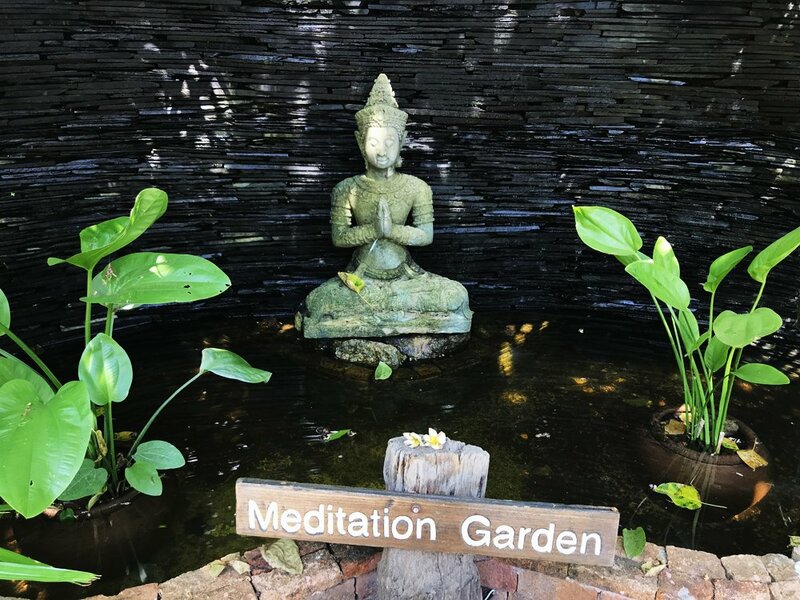 Meditation classes are available in the morning and evening. 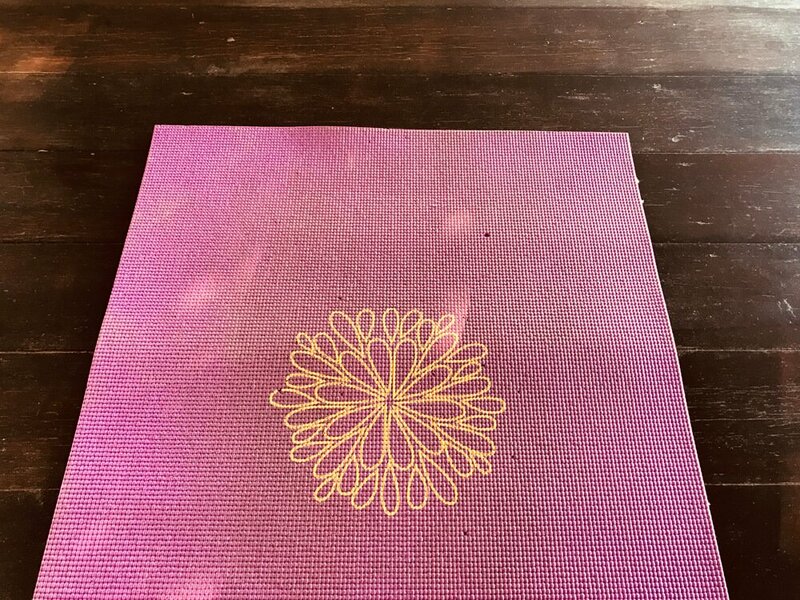 I’ve never meditated before, but after just a few classes, I found it to be a most excellent way to relax and gain awareness, rid myself of negative thoughts and focus on being thankful for all the things that are good in my life. 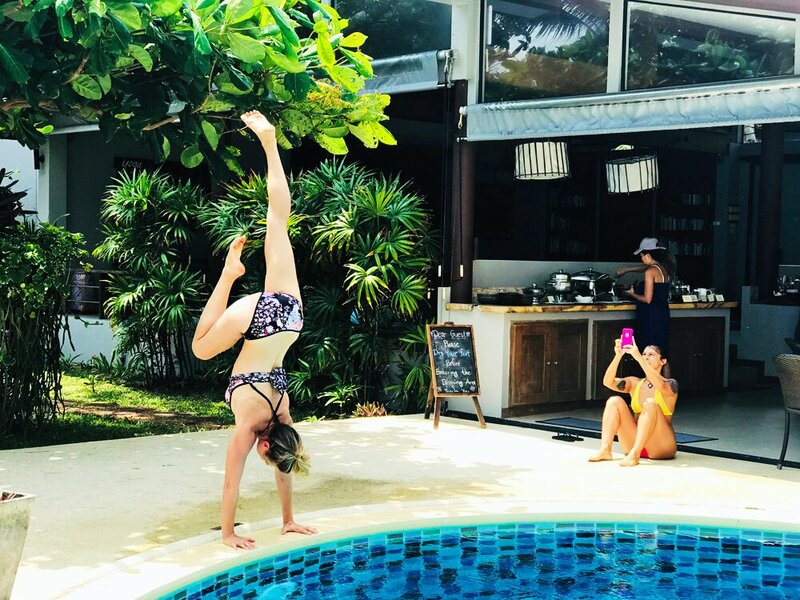 The staff at Samahita are really dedicated to making sure your stay is enjoyable. I found them to be genuinely caring and very knowledgable. Before starting your detox, you’ll have a talk with a personal health coach who will follow you throughout your program and together, you’ll schedule daily check-ups to see how things are going and how you feel. Depending on what you normally eat, a detox can initially be a bit challenging. I generally enjoy a very healthy diet. But I’m also in love with chocolates, cookies and sweets. So my goal with the detox at Samahita was to get a fresh start and begin a new life – without sweets and sugary foods. Thanks to being extremely motivated about my detox, I actually didn’t find it that difficult. Instead, I felt a lot of gratitude that I was finally at a place where I could totally focus on myself and my wellbeing. Only on the third day did I experience a really bad headache, which apparently is perfectly normal as the toxins are leaving your body and it was gone by day 4. Being on a detox means you’re on a fast of sorts. So, I thought I was going to feel hungry all the time. But I didn’t. 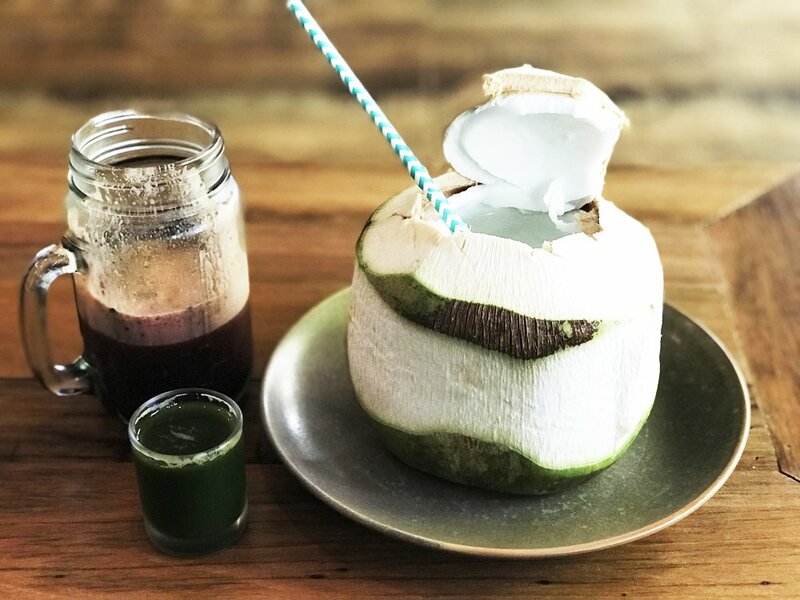 I did, however, get a little bit bored drinking the same juices and soups – especially after seeing all the delicious food available on the restaurant’s buffet table and which is available to guests not on the detox program. 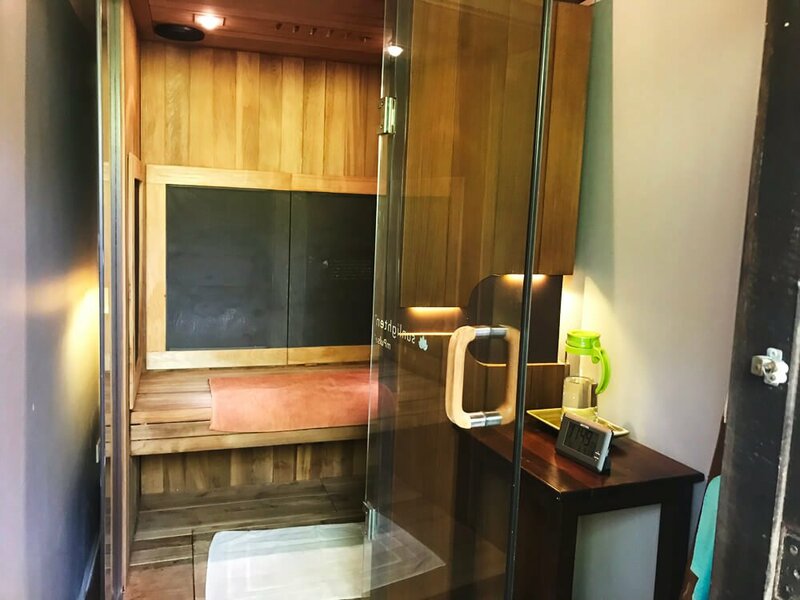 Apart from all the classes you can join every day, you also get to enjoy an hour of blissfully relaxing massage and 30 minutes in the retreat’s infrared sauna. Apparently, a sauna equipped with infrared heat is seven times more effective than a traditionally heated one. It’s still a pleasant albeit hot experience where your body literally sweats out numerous toxins. So, remember to drink plenty of water to rehydrate before and after your sauna! 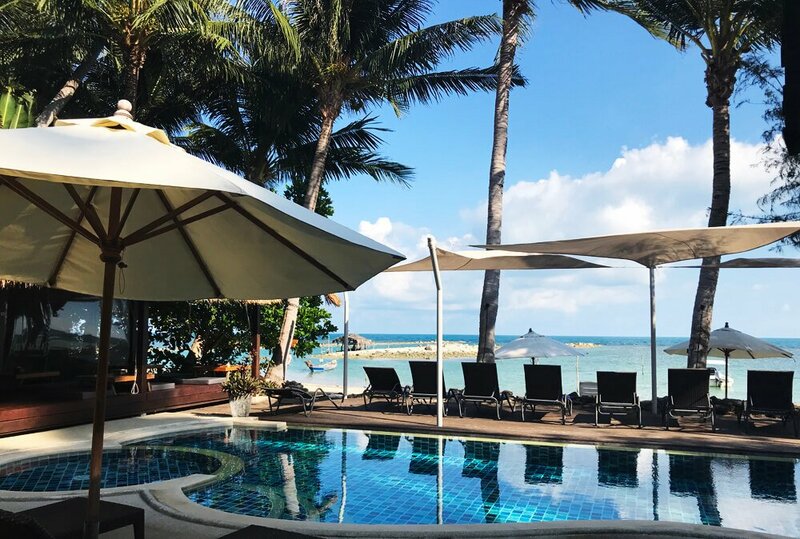 Samahita’s location on Laem Sor Beach, in the southern part of Koh Samui, is far away from the crowded, touristy beaches like Chaweng or Lamai. 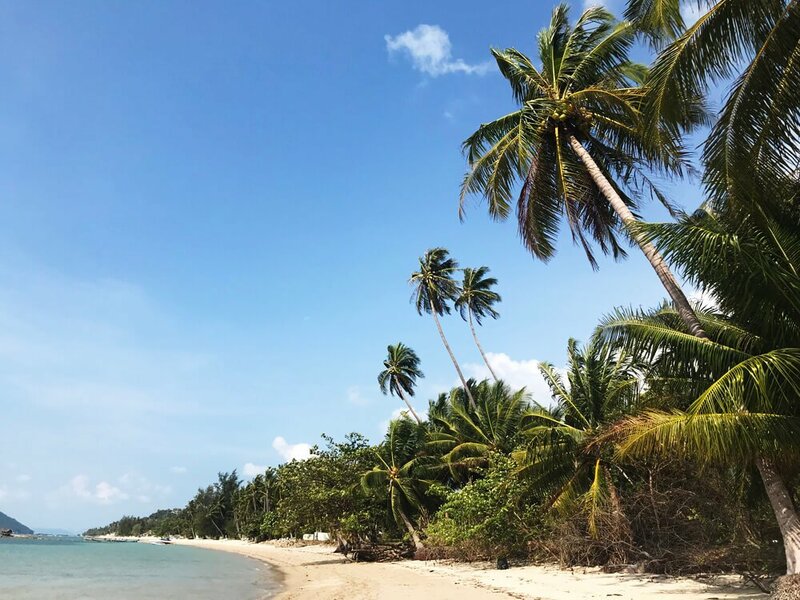 The beach itself is absolutely serene with mainly private villas on it. So you have it pretty much to yourself on walks. Being located directly on the beach was fabulous and it also allowed me to combine all other training with some swimming as well. My room at the retreat was both comfortable and functional and I really appreciated having an office desk, big windows and a modern, roomy bathroom. For those of us that need to be online once in a while, the retreat’s Internet service was fast and reliable allowing for good quality video chats using FaceTime or Skype. 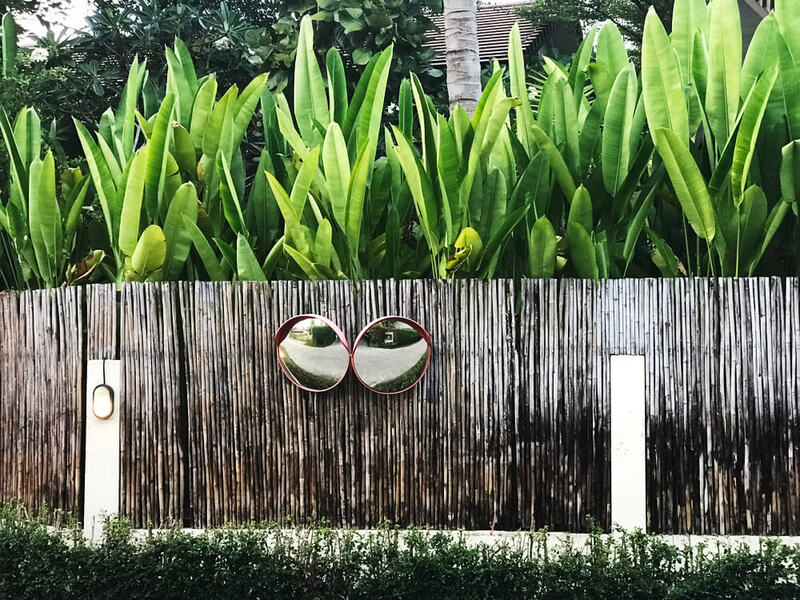 I can easily recommend a week long stay at Samahita – even if the retreat didn’t offer a nice discount to all Airline Staff. And since they do, what are you waiting for?